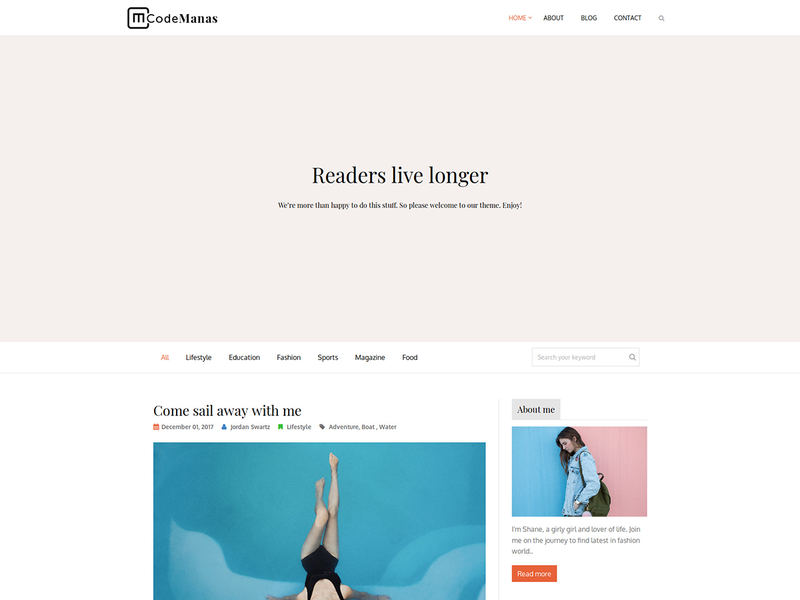 Code Manas is a simple WordPress blog theme. With simple and aesthetic design, this theme showcases the blogs in the most effective and simplest way. Being compatible with Kirki, this theme provides rich experiences for the WordPress Customizer using best coding practices. This themes comes with many theme options for a normal user to customize the theme the way one wants.